I love it when CDM readers win major accolades. 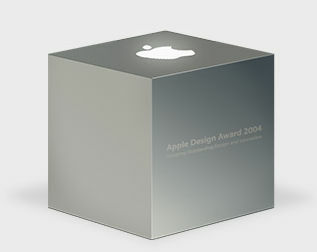 So it is with Cris “Atariboy” Pearson of plasq, who’s just scored the prestigious Apple Design Award for Best New Product for OS X at the WWDC conference. The winning app, the brilliant comic creation tool Comic Life got mentioned here on CDM just about before anyone knew about it. Congrats, Atariboy! Of course, as this is a music site and all, we’re still partial to the very-cool, very-free, very-Mac-only sampling instrument Musolomo, which just got a lovely Sound on Sound review. But that doesn’t mean we can’t send kudos to Cris, and that I’m still not holding out hope that someone will create a digital music-themed comic using this tool. If it helps motivate you, I could point out that the Packrat strip featured on Music Thing got picked up by Keyboard. I’m waiting.